Who doesn’t like cotton candy at an event? 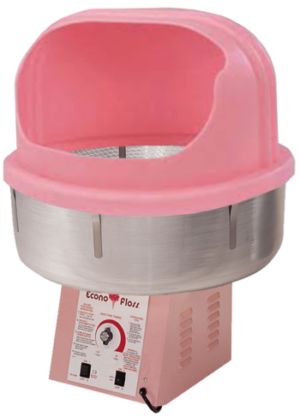 Our Cotton Candy Machine comes with a safety dome and can be delivered with your event or picked up at our office. CC&E can also provide an attendant to make it for you, if your volunteers don’t want to get caught up in the candy! 1 Dedicated 20 amp circuit within 100 ft. CC&E will provide heavy gauge extension cord. Keep in mind cotton candy does not make well in the heat and humidity, so ideal conditions are indoors or for cooler outdoor events. Supplies are cones or bags, $10.00 for 100. Sugar floss is $20.00 per 100 servings.